While trying to evolve in the cruel world of virtual rendering, you may have seen many tutorials, all presenting super advanced master techniques, but you can’t stop feeling that their starting point is always a bit above your current skills, and their goal far away from your current needs. So, here is a small and quick way to get an efficient result with a minimal effort. 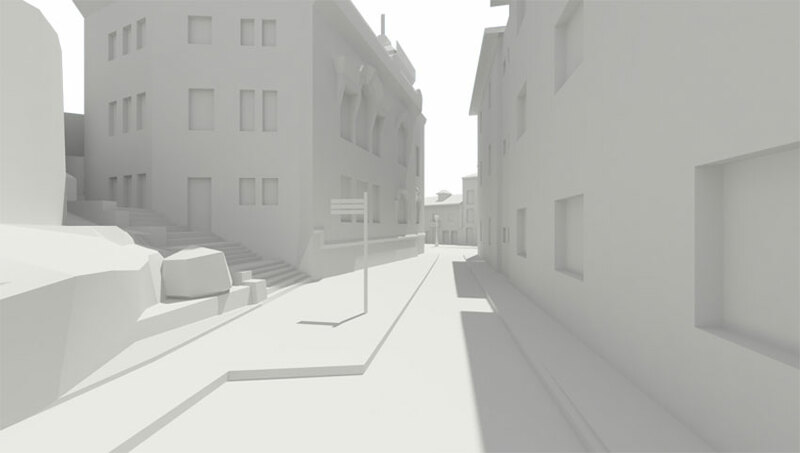 The goal is to create a clean white model with some color overlay to express a projects potential. The main part of the tutorial is based on the model ‘casino y torre’ from the 3D warehouse (made by Indigo Group), which presents interesting spaces that match well with the needs of the explanation. 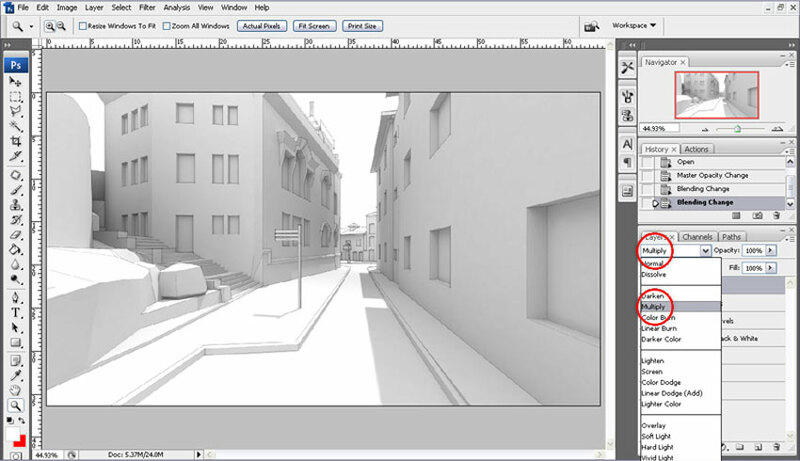 We will be using SketchUp, V-Ray, and Photoshop. 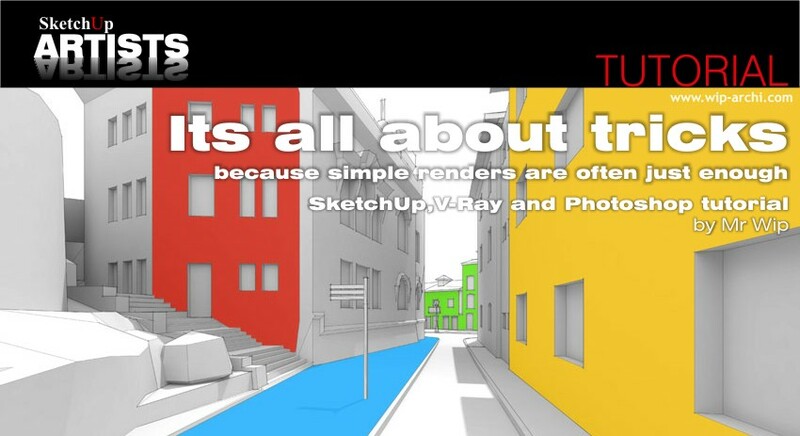 The V-Ray presets are from the website wip-archi.com Link (It is in French, you can translate with Google translator). 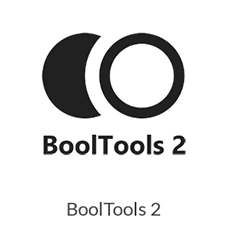 The basic idea is to combine different method to get quickly a good result without having to spend too much time on each step, by adjusting everything precisely. 1 – White – Sun : All textures are overwritten, the light comes essentially from the sun, creating nice shadowing. uniform render with a good level of detail. Step 2. The combination of both styles is necessary to get a convincing result because if the sun gives a good overall effect and nice shadows, it does kill the small details in full lit area which are preserved in the sky-only render. By using Photoshop it’s then easy to Blend them by adjusting the Transparency level of the overlaying picture (the order doesn’t matter…) as shown below. Step 3. 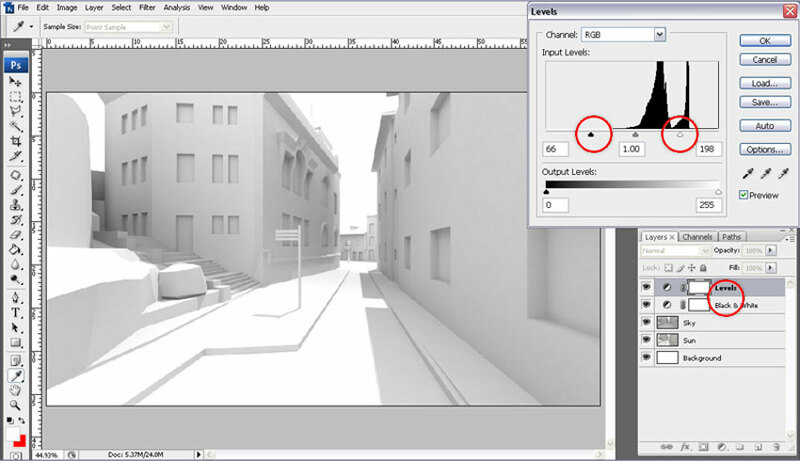 To emphasis the ‘clay model’ effect, it is necessary to add a simple black and white Adjustment Layer (or desaturate ) because the sun render always presents a small coloration. 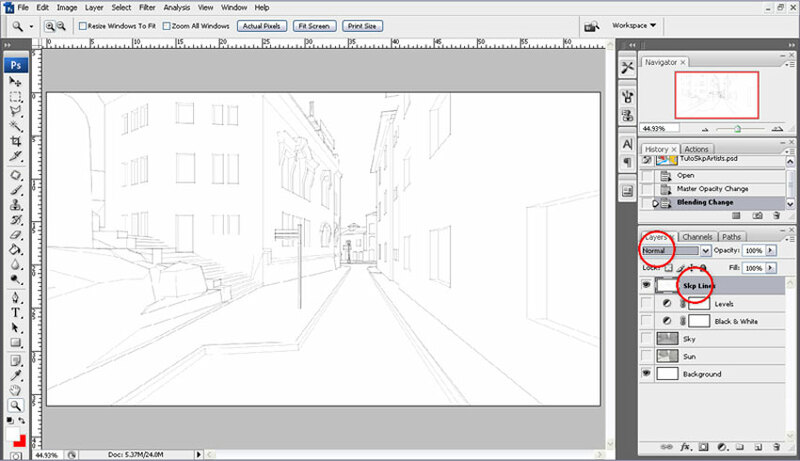 A Levels Layer is also useful to complete the picture adjustment allowing a quick reinforcement of the overall contrast. Step 4. 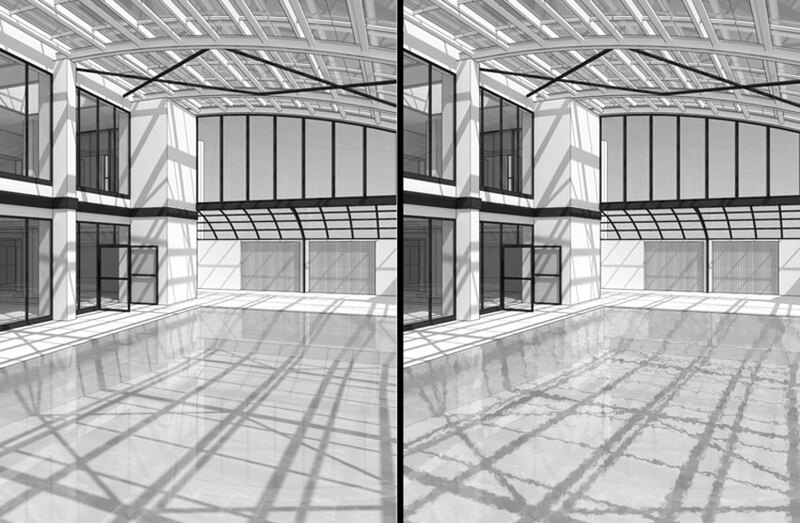 When these first steps are done, go back to SketchUp, and export a simple white image, which only shows SketchUp lines (to get a satisfying precision image it is often necessary to create a bigger output than the V-Ray render and then reduce the size in the image editor). Step 5. 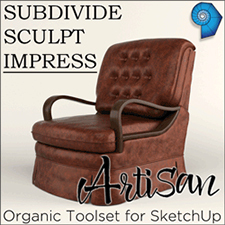 In Photoshop, paste the SketchUp lines as a new layer at the top of the existing stack. Then change the Blending Mode from Normal to Multiply. This creates the desired effect. 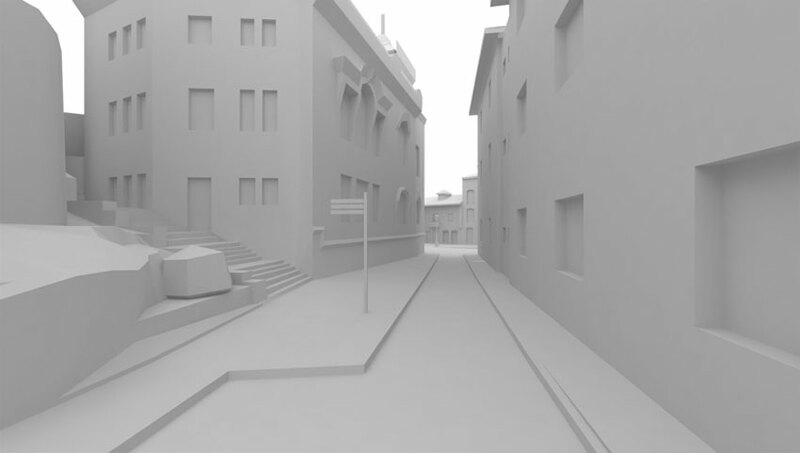 It is interesting to understand that this method is also really efficient to create clear plans or facades from any 3D model. The combination of sun and sky emphasis’s the nature of every space. When you have built your complete Photoshop file, you can easily enhance your presentation. As shown in the image below for example. 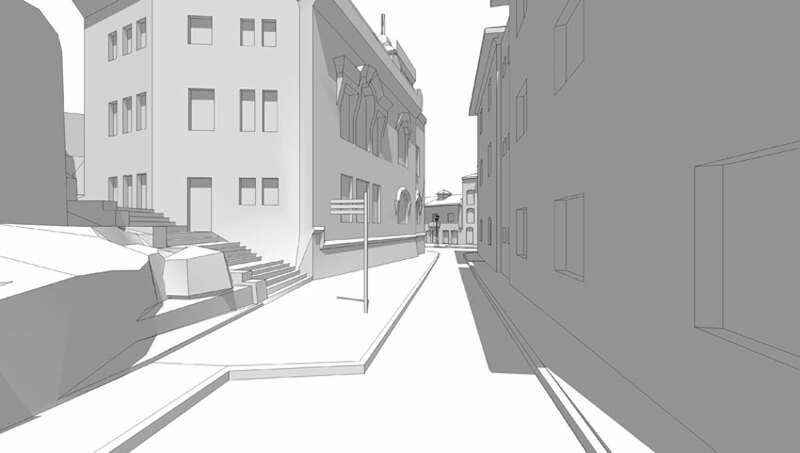 Let’s show the facades and ground elements that will be affected by the project. 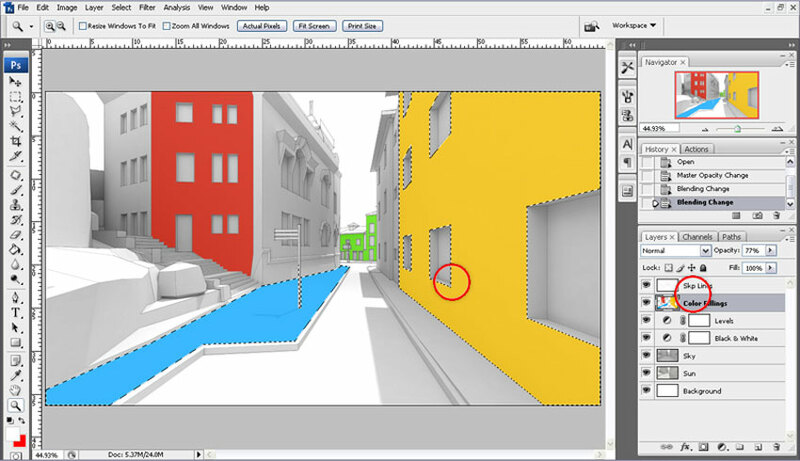 Using the SketchUp lines layer, it’s possible to select precisely certain areas and then apply a color filling on another layer. This method allows a quick color filling and in this case can also be used to add effect on a particular part of a render. It’s a really efficient way to get nice water or glass effects without having to lose time adjusting complex shader parameters, and it reduces a lot the rendering time. Hope you enjoyed this tutorial and picked up some hints…. even though i googled it. Could you detail this for us? 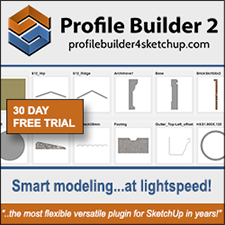 … In fact when I say ‘using the skp lines layer’ it just means that you use the magic wand on it to make quick and clean selections of precise area, define by the skp edges on your image. In this article the difference (with or without the lines) is not that easy to get, because the pictures are quite small, but it works for real..! I’m a PS noob hence the misunderstanding. it’s just unboxing the option “GI Skylight” or selecting another type of GI? How can i get that nice water or glass effects? i suppose its by selecting a certain area in the ‘Skp lines’ layer” with the magic wand tool and then give an effect? How? Thx! Very nice tutorial !! Is it possible to doxnload the .skp? I am stuck at step 4. 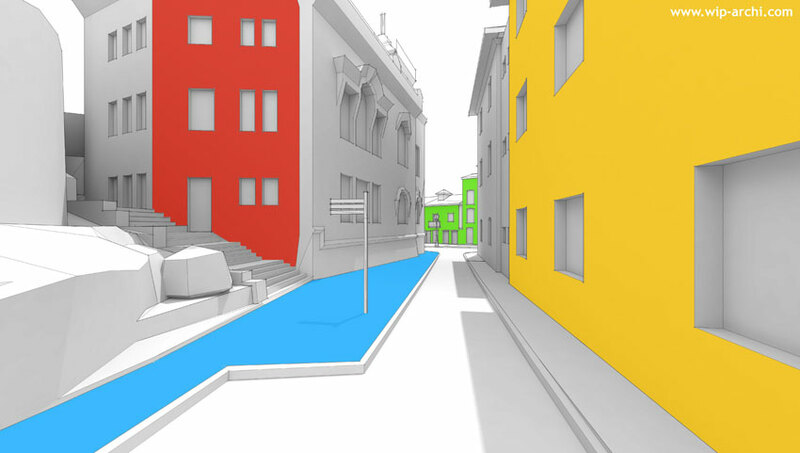 In SketchUp, how do you export a ‘simple white image with only sketchup lines’? @Mike To export a straight line work image. Turn off the sky and shadows and select hidden line mode in the style menu. The displayed edges have no profiles, extensions or other variations – just the basic line work. 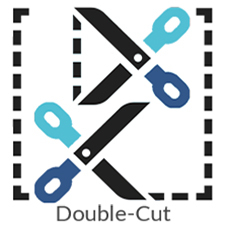 I’ve tried exporting a double size image then halving it in “Photoshop” (Gimp). However, this scaling results in a loss of quality and as far as I can see any scale operation in the image editor, including shrinking, results in a loss of image quality to some extent. Could you explain this stage a little more? 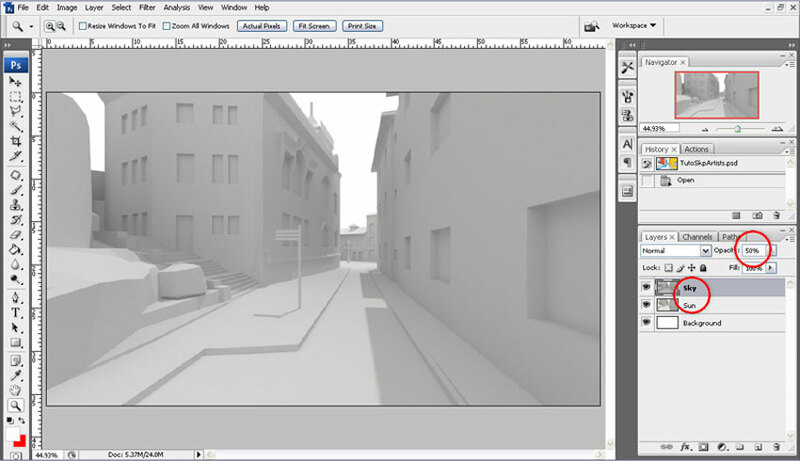 Do I have your permission to use this 3D project just to improve my Photoshop skills. I want to do a post-production image based on your project. I will send you the final image when it’s ready. Just le me know if it’s ok to use it. Please do…. and we look forward to seeing it! Thanks for this tutorial. Just having a bit of an issue. Have followed the steps and downloaded the visopt files however I cant seem to get the white sun option working. It doesn’t show shadows as in the image. Looks quite similar to the white sky setting. Any one else have this issue?